Clockwise from top: Si-o-se-pol, The City of Isfahan, Khaju Bridge, Isfahan Aquarium, Naghsh-e Jahan Stadium, Flower Garden of Isfahan, Naqsh-e Jahan Square, Chehel Sotoun, and The City of Isfahan. 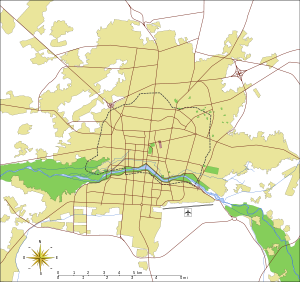 Esfahān or Isfahan (historically also rendered as Ispahan or Hispahan, Old Persian: Aspadana, Middle Persian: Spahān, Persian: اصفهان Esfahān) is the capital of Esfahan Province in Iran. 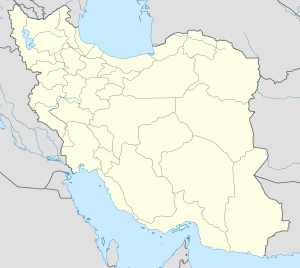 It is about 340 km south of Tehran. It has a population of 1,583,609. It is Iran's third largest city after Tehran and Mashhad. Isfahan was once one of the largest cities in the world. It was strong from 1050 to 1722, particularly in the 16th century under the Safavid dynasty. During this time it was the capital of Persia for the second time in its history. Even today, the city keeps much of its past glory. It is famous for its Islamic architecture, with many beautiful boulevards, covered bridges, palaces, mosques, and minarets. The Naghsh-e Jahan Square in Isfahan is one of the largest city squares in the world. It is an outstanding example of Iranian and Islamic architecture. It is a UNESCO World Heritage Site. The city also has a many historic monuments. This page was last changed on 28 December 2018, at 10:40.